Arts In Action Community Charter Schools aim to provide a rigorous academic foundation while developing the whole child through a rich arts program, a daily socio-emotional learning component, and by modeling advocacy through social justice initiatives. We INSPIRE, PREPARE and EMPOWER students to . . . Become powerful thinkers and learners. Gain a love for reading, writing, math, technology & the arts. Develop critical thinking skills and scholarly work habits. Help solve issues of suffering and social injustice. 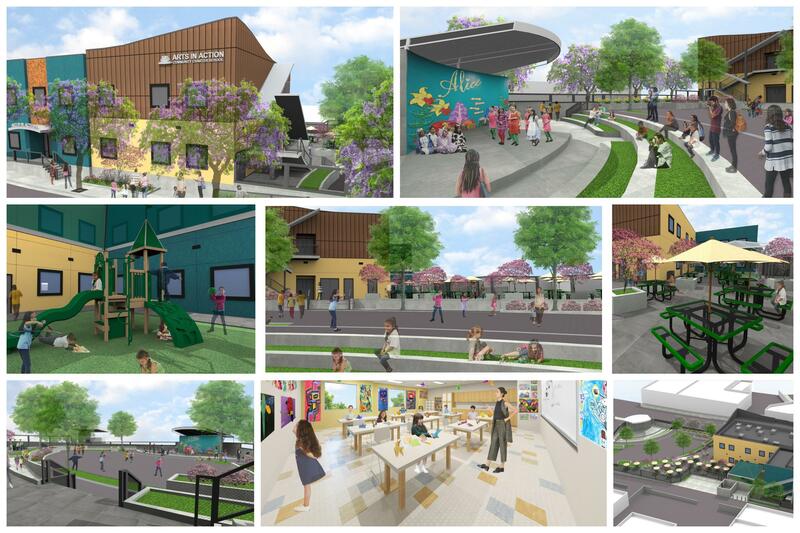 Arts in Action Community Elementary (TK-5th) is Moving to a New Campus for 2019-2020! If you wish to know about upcoming New Student Information Sessions, or put your child on the waitlist, please click on the "Enroll" button below.